Before configuring your phones in FreePBX, it's a good idea to whitelist your IP address to avoid being blocked by Fail2ban. 1. Log into the FreePBX GUI and navigate to Admin -> System Admin. 3. 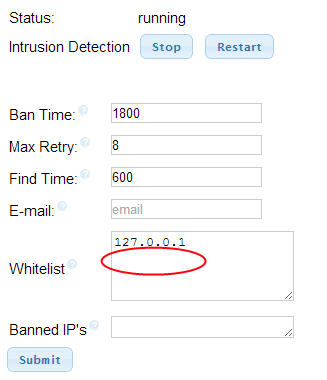 Add your IP address to the Whitelist text box on a new line and click Submit.